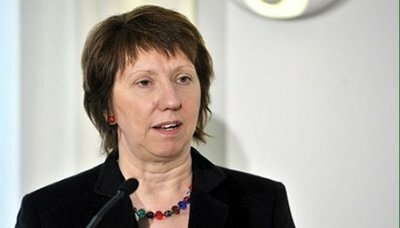 The High Representative of the European Union for Foreign Affairs Chatherine Ashton has confirmed the EU’s efforts to provide Yemen with more support to help the country overcome its challenges. In a meeting with Yemen’s Permanent Representative to The Arab League Mohammad al-Haisami on the sideline of Arab-European Foreign Ministers’ Third Meeting is being held in Athens, Ashton discussed with the al-Haisami the political situation and Yemen’s achievements in the process of the transfer. Al-Haisami reviewed efforts of President Hadi and the National Reconciliation Government in completing the remaining steps of the transfer and economic and security challenges Yemen is facing. Minister of Planning and International Cooperation Mohammad al-Sa’adi met here on Tuesday with European Union (EU) delegation’s head Bettina Muscheidt. During the meeting, al-Sa’adi and Muscheidt reviewed a number of issues related to strengthening the cooperation relations between Yemen and the EU. The Minister praised the diligence shown by the European Union to support the underway political process and enhance the stability and development paths in Yemen. For her part, Muscheidt reiterated the Union’s readiness to continue to provide all aspects of assistances to enhance the political process in Yemen, hailing the historic accomplishment the Yemeni people has achieved through the success of the national dialogue. 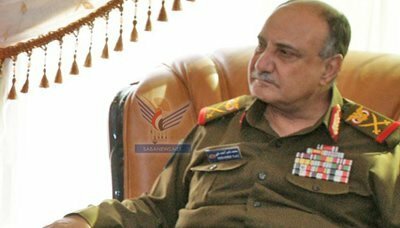 Defense Minister Maj. Gen. Mohammed Nasser Ahmed met on Monday the European Union (EU) delegation to build marine capacities, who is currently visiting Yemen. During the meeting, they reviewed and discussed a number of issues associated with the expansion of military cooperation areas between Yemen and the EU mission to build capacity of Yemeni navy and coastguard and enhance their performance for maritime security and the fight against maritime piracy and smuggling. The meeting touched on areas of support to be provided by the mission through training programs and assistance in the field of laws as well as assistance in light marine equipments and requirements of strengthening the partnership with the Navy and Coastguard. be followed by formal adoption and genuine implementation of the NDC’s recommendations.